Meet the DIY Club inc's newest sponsor! 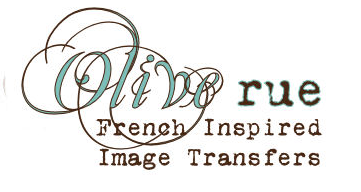 Olive Rue is giving away a free french inspired iron on transfer so that you can try your own project! Get your FREE iron on transfer by clicking here. You should also check out her Etsy shop to see all the other beautiful and inexpensive transfer designs she offers. 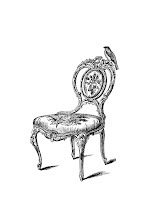 **If you make a purchase at Olive Rue’s shop please be sure to mention WhisperWood Cottage in the “note to buyer” section at at the time of checkout to receive a free gift. You know what this means now, don't you? It means you have no excuse not to enter the DIY Club inc August linky party!! Use one of our sponsors' products (not one from each, just one product from any of the sponsors). TAKE A PICTURE of the product and add it to the post. Add the DIY Club inc button to your side bar or to your post. That’s it! After that, the 6 DIY Club girls pick the Top 10. Then we let you choose and vote for your favorite project. The CROWNED WINNER earns the entire sponsor prize package (valuing $200+). Be ready to link up beginning the evening of August 5! Wow, you guys keep getting more and more amazing sponsors! It was a lot of fun participating in July's contest, and I've already purchased several images from Olive Rue to begin work on my submission for next month. DIY Club rocks!